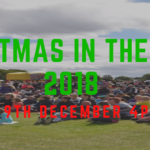 Christmas in the Park is being held on Sunday 9th December from 4pm at Parklands Reserve. There will be Carol Singing, Inflatables, Petting Zoo, Mini-Jeeps, Sausage Sizzle & Hamburgers, The Naked Baker, Face Painting, Mr Balloon Man, Candy Floss, Mr Whippy. Local School Choirs, Kapa Haka and other great entertainment. A great event for the community to come together to Celebrate Christmas. This year there will be a box under the Christmas Tree for donations of non-perishable food for the local Foodbank.